BBC News - A new look House of Commons? A new look House of Commons? In the run-up to the general election, 145 MPs announced they would be standing down - more than a fifth of the House of Commons and a post-war record. Some departing members have had careers spanning up to four decades. But many of the candidates battling to take their place are embarking on their first foray into parliamentary politics. 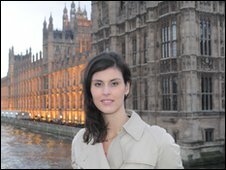 As well as prompting the resignations of many sitting MPs, the furore surrounding the expenses scandal helped to inspire a new wave of would-be politicians across England - many of whom represent a departure from the white, middle-class and middle-aged male figure that has continued to dominate the Commons' green benches. As parliament drew to a close ahead of the election on 6 May 80% of MPs were male. Only one in 43 members came from a black or minority ethnic background, and just one MP was aged under 30. 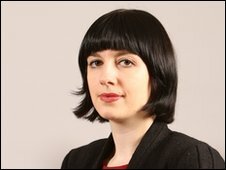 Labour candidate Bridget Phillipson, 26, who manages a women's refuge on Wearside, said it was time the House of Commons had a "fresh start". "It's really important that parliament reflects the diversity of our country," she said. "I think this election could make a real difference - hopefully after it people won't look at the House of Commons and just see lots of older white men, but people from a range of different backgrounds, with different skills and talents." Ms Phillipson, who is standing in the new seat of Houghton and Sunderland South, said her campaigning had taught her there was a long way to go to rebuild voters' faith in politics. "There is a lot of disaffection on the doorsteps," she said. "I understand the anger about MPs' expenses - I share it. "But this election should be a fresh start for parliament, we can move on from the expenses row and get on with tackling the issues facing the country." 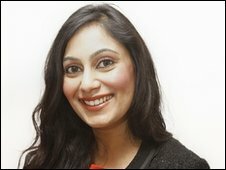 Businesswoman and Conservative candidate Shazia Awan could become one of Westminster's first female Asian MPs on 6 May. "People who meet me in the constituency often tell me I'm not what they were expecting," said the 28-year-old, who is the founder and CEO of underwear firm Peachy Pink. "I think people find it really refreshing that the face of politics is changing. "Maybe they have an idea in their head of what a typical politician is, but that's not the case any more - and that's a good thing." Ms Awan, who is standing in Leigh in Greater Manchester, said the House of Commons should be more reflective of modern Britain. "I didn't want to get married and have children one day and have them grow up thinking there is no-one in the political system that is like them," she said. "And if you really want to make changes then it's better to be involved in the system than not." Maths and physics teacher Layla Moran, 27, is one of 41 parliamentary candidates across England hoping to be among the Liberal Democrats' first MPs from ethnic minority backgrounds. "Before I joined the party I never had anything to do with British politics - watching the news and arguing with my dad about it was as far as it went," said Ms Moran, who has a British father and a Palestinian mother. "I'm just as sick as everyone else is of how politics has been working in this country in recent years. We need to change the way the system runs and give a voice to those people who haven't necessarily been represented." Ms Moran, who is standing in Battersea, said the diversity of the candidates standing for election would help to bring "fresh air" to the House of Commons. "I think it's a distinct advantage to be able to come from a completely different perspective," she said. "But at the end of the day it's got to be about the best person for the job."